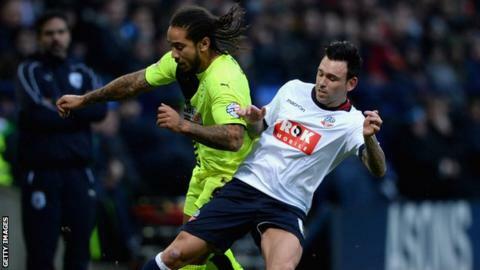 Bolton have contacted the Football League about the conduct of fellow Championship side Sheffield Wednesday in transfer talks over Mark Davies. Financially struggling Bolton cut Davies' price to resolve an issue over wages and thought a deal had been done. The player was set for a medical on Thursday and was pulled out of Tuesday's league meeting between the two clubs, which Wednesday won 3-2. But the deal is on hold, with Davies' agent Will Salthouse questioning why. "Sheffield Wednesday have said medical reasons but the player has not had a medical with them and they have not had any of his medical records," he said. Bolton have contacted the Football League, although it is not known whether they intend to lodge a formal complaint. Another Wanderers player, Zach Clough, has decided not to accept a transfer to Bristol City, despite a fee being agreed between the two clubs. Unless there are further developments, Davies and Clough will be available for Bolton's Championship game at Nottingham Forest. Bolton are trying desperately to raise funds before Monday's High Court appearance, when they face a winding-up petition brought by Revenue & Customs. There had been hope before Christmas that a takeover of the club, £172.8m in debt, would have been completed by now. However, discussions with various parties have failed to reach a successful conclusion. Bolton are bottom of the Championship and if they went into administration, which is still a possibility, the 12-point penalty would leave them 18 points from safety.